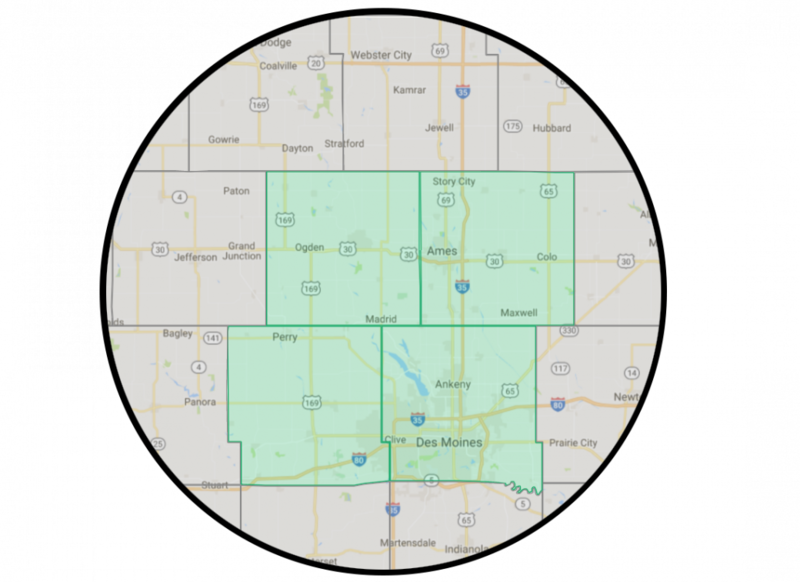 We serve all of Central Iowa from Ames and north to the Des Moines metro in the south. We specialize in homes in Story, Boone, Polk, and Dallas counties, but serve anywhere in the surrounding areas as well. We have the experience and know-how to help you find the home of your dreams. Check out the Homes for Sale tab for listings, browse our blog for home buying/selling tips, or try our home valuation tool. Everything here is designed to make the process easier for you. Then give us a call. Let one of our agents help you find your next home.